Having just escaped the nefarious plans of the Order, Rayla Tate thinks all she has to do now is rescue her family and sort through her feelings, but bonding with five men might just be her undoing. Not only does she have to deal with all of them reading her mind, Rayla must choose a bondmate before she will be allowed to venture into the mortal realm to save those she loves most. She has three weeks to get to know each lord, but her journey turns into far more than a simple choice of the heart. Rayla comes face to face with the underhanded dealings of the fae political system where good is a matter of taste and evil lurks under beautiful shells. Long held judgments crumble when she discovers the heart beneath the men she has come to count on. Rayla must overcome long held fears, discover the truth behind the creatures of the dark realms, and conquer her greatest weakness before she can take her place as the new queen of the fae. However, her world crumbles when she discovers following her heart’s desire might just mean the destruction of the world. Will Rayla have the courage to choose the man who has risked everything to win her, or will she succumb to the manipulations of the fae council and those who would use her power for evil? One choice: five men. The stakes have never been higher, but which one will prevail? This book was nothing short of awesome. I love drama and this book had it in spades. Rayla is a girl whose position I didn’t envy. The choice between five super delicious fae lords. Yeah, there is no easy choice here. The author does a wonderful job of letting us fall for each of the guys. Each is strong as an alpha male yet each has their own vulnerabilities. It should be odd to have five men but it is sooo not. 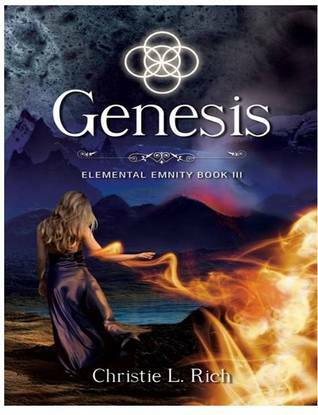 This elemental series is jammed packed with action, adventure and romance. What more can you ask for. I know. Book four please, now. If you haven’t tried this series, it’s a must. The world building is excellent and the storyline just gets better and better. I don’t read a lot of fae stories but I can say this one is widely unique. Very different than any I’ve read which is a good thing. What’s more than that, there are many stories within the whole story to keep you interested from page one to the end. It is more than a page turner, it’s a beg the author for more kind of book. Yay, I'm glad you liked!